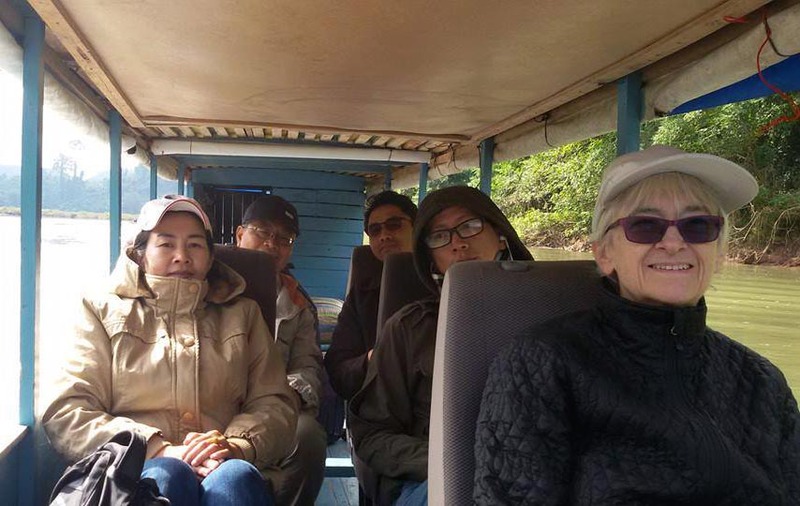 While Philadelphia and much of the rest of the world was celebrating the holiday season, the Middle Mekong Archaeological Project (MMAP) was conducting site survey in northern Laos. We collected data in the Ou River Basin as part of our study region in Luang Prabang Province. See more photos with captions of the 2016 MMAP season on our Facebook post. The trip to our base “camp” (actually a remotish “resort” village) required a final ride for an hour by boat. — with Nang Kongkeo Phachomphon, Bounheuang Bouasisengpaseuth, Norseag Sayvongdeau, Jj Kzi, Khamsouk Souksome and Joyce White in Muang Ngoi, Louangphabang, Laos.